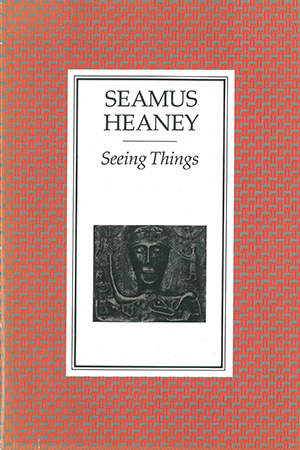 Seeing Things saw Heaney’s work move in a new direction, with a shift from earth and roots of his early poetry towards air and sky, as evidenced in ‘The Skylight’ and ‘Lightenings viii’. Published in 1991, soon after he entered his fifties, Seeing Things saw the poet ready ‘to credit marvels’ in poems that often had an illusory quality, and included the sonnet sequence ‘Glanmore Revisited’, and the 48 twelve-line poems of ‘Squarings’. A mid-career tour de force, it paved the way for the Nobel Prize in Literature, which was awarded to Heaney in 1995.